Although the seasonal temperature cycle typically peaks in July, August 2016 wound up tied with July 2016 for the warmest month ever recorded. 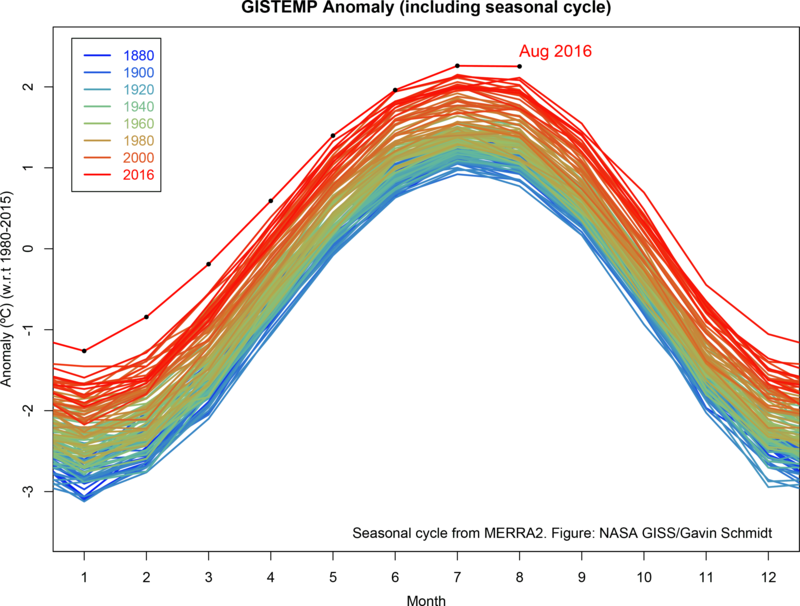 August 2016's temperature was 0.16 degrees Celsius warmer than the previous warmest August in 2014. Last month also was 0.98 degrees Celsius warmer than the mean August temperature from 1951–1980.